Do your mornings start with gazing at your wardrobe and looking for the right summery outfit? If you are unable to find one, it is time to update your wardrobe with the latest cotton kurti styles which keep you cool and comfortable during the summer & monsoon months. Here is a list of some super-stylish kurti styles that will ease your dressing woes. These dual coloured long kurtis are a perfect addition to your summer closet. 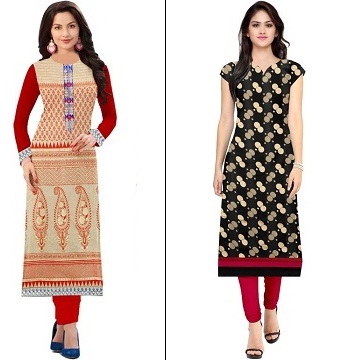 With trendy cuts and a bit of detailing, these kurtis are ideal for office wear. Accessorize with a handbag and a pair of simple earrings to rock the on duty look. What better time than summer to flaunt your new collection of digital print kurtis! 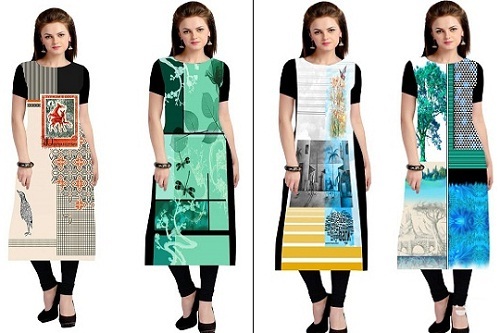 These fresh and unique prints are what make these digital print kurtis so chic and versatile. Pair it with leggings or palazzo pants. What better time than rainy months to flaunt your collection of digital print kurtis! This quick dry fabric and unique prints makes them chic and versatile. Pair it with leggings or palazzo pants. There is something very special about prints. They add the required grace and elegance to any outfit. From fashion scene to daily wear, unique prints simply make heads turn. 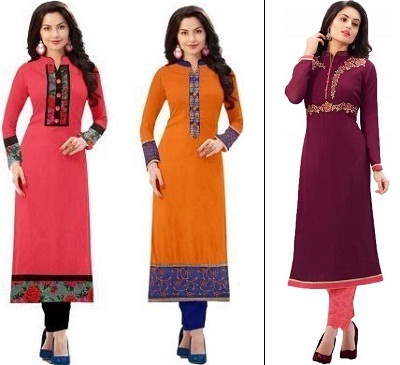 These kurtis with interesting prints along with striking colour combinations are to die for. Be it catching the latest flick with your mates or a casual outing, pick any one of these kurtis and you are sorted.